The tests were run in console mode. Here the values from 1 to 32 threads, starting position, with 20 seconds of computing time. 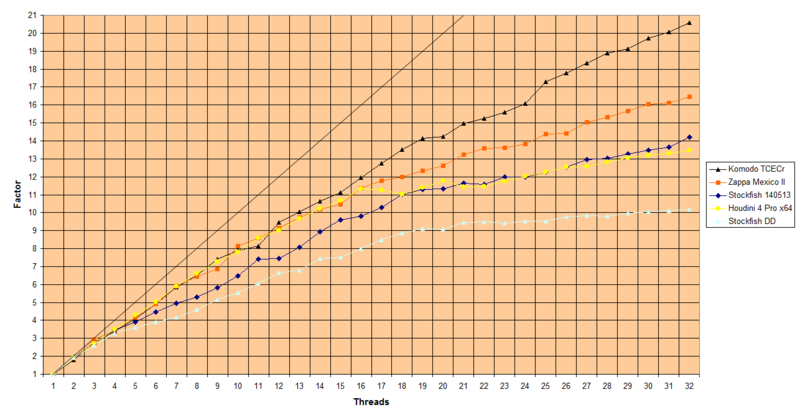 Komodo, Houdini and Zappa are almost equal up to 16 threads (factor 11.94 - 11.37 - 11.34). Stockfish DD and also the latest Stockfish version lies somewhat behind (factor 8.01 - 9.79). Komodo scales still excellent beyond 16 threads. Also Zappa shows a very good SMP implementation. 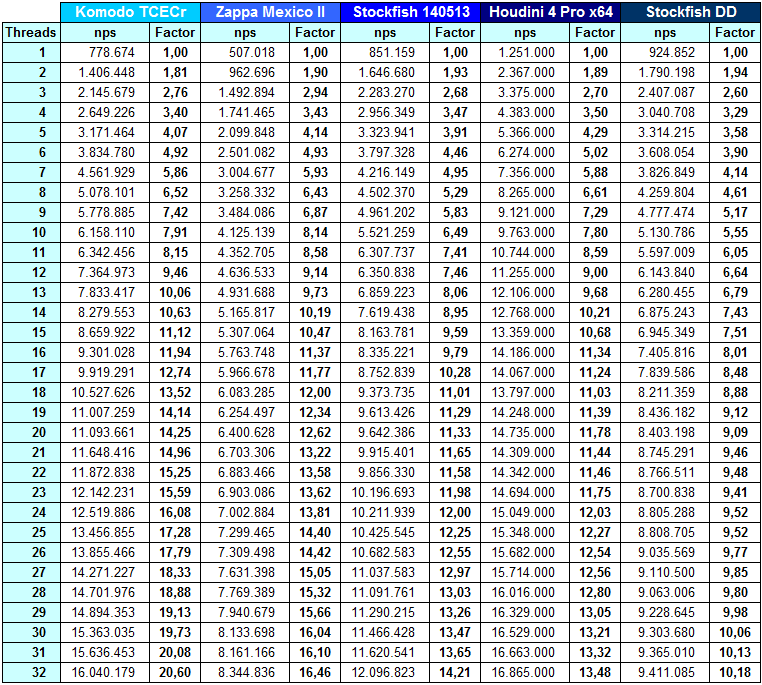 Beyond 16 threads Houdini and Stockfish DD benefit much less than the other tested engines.